Valid contract exists between the parties if there is offer and acceptance, which means, offer and acceptance are the two important elements of the valid contract. Offer is defined as communication skills through which one party under the contract promises the other party to do something or not do something in case another party ready to do something or not do something. Acceptance on the other side is the unequivocal statement made by the offeree, and through this statement, offeree agrees to the offer made by the offeror. It must be noted that, acceptance is considered as valid acceptance if such acceptance is given in exchange of the offer directed by the offeror and it must be given to the person who gives the offer. It must be noted that, acceptance must be communicated to the offeror, and in case acceptance is not communicated to the offeror then such acceptance cannot be considered as valid acceptance. There is general rule that if offer is rejected by the offeree then it is not possible for the offeree to accept the offer. In other words, once the offer is rejected then it cannot be accepted (ACL, no date}. As stated once the offeree rejects the offer then it can no longer be accepted. Rejection of the offer can be done by making the direct refusal of the offer by the offeree or by making the counter offer. Counter offer is defined as the new offer made by the offeree, which means, acceptance of the offer is given on the different terms and regulations. It must be noted that, even in case different terms are not important in nature then also such counter offer will be treated as the new offer or the rejection of the original offer. In other words, slight difference in the terms of the offer will result in the new offer. Therefore, it is important to make difference in the counter offer and only the request for the extra information. For making the rejection effective, it is necessary that rejection is communicated to the offeror. It is clear from the above facts, that any contract which is made by the arty in response to the original offer will be considered as counter offer, and making of the counter offer automatically results in the rejection of the original offer. In this case, Offer is made by John Doe for selling the barley to the Tom Jones in the letter which is written on 15th August, and letter further stated that offer is open till 22nd August. On 17th August Tom replies to the offer letter by sending the letter in which he stated that he is interested in purchasing the Barley but he will make the payment in Instalments. John Doe receives this letter on 18th and Replied that he cannot accept this condition of Tom. This letter is received by Tom on 20th August, but a day before, Tom arrange the loan and write another letter in which he stated that he is ready to pay cash and accepts the offer made by John Doe in the letter of 15th August. Tom made the counter offer in his letter of 17Th August by stating that he makes payment in instalments, because this is the new term. Counter offer is defined as the new offer made by the offeree, which means, acceptance of the offer is given on the different terms and regulations. It must be noted that, even in case different terms are not important in nature then also such counter offer will be treated as the new offer or the rejection of the original offer. In other words, slight difference in the terms of the offer will result in the new offer. This can be defined through the case law Hyde v Wrench, (1840) Beav 334. In this case, defendant offered the plaintiff to purchase the land for the amount of $1200, but plaintiff rejected the offer. Defendant further offered the plaintiff to purchase the land at $1000, but plaintiff responded to purchase the same at $950. Defendant refused to sell the land at that amount. Later, plaintiff agreed to purchase the land at $ 1000 but now defendant refused to sell the land. In this case, court determines the question whether there was any valid contract (ACL, no date). Court held that, there was no valid contract between the parties because offer made by plaintiff to purchase the land in $ 950 was counter offer, and it can be considered as the rejection of the original offer or it can be deemed as the new offer. As stated by the rule, once the offer was rejected then it was not possible to make subsequent acceptance in terms of the offer. Justice Lord Langdale stated that, no valid contract exists between the contractual parties in terms of purchasing the land. If offer of the defendant to sell the land at $1000, and in case such offer was accepted unconditionally and with same terms on which such offer was made then only such contract was deemed as valid contract. In this case, plaintiff made the new offer to purchase the land at $ 950 and because of this he rejected the offer made by the defendant. In this case also Tom does not accept the offer with original terms, and these slight changes in terms will be considered as new offer. In other words, Tom rejected the original offer. There is general rule that if offer is rejected by the offeree then it is not possible for the offeree to accept the offer. In other words, once the offer is rejected then it cannot be accepted. Therefore, there is no valid contract exists between the John Doe and Tom Johns. Termination of offer is considered important regulation to understand, as it can be occurred in different forms. As defined by the general rule, once the offer is rejected by the offeree or revoked by the offeror then it is considered as the termination of the offer. If the offer is terminated by the parties then such offer does not exist anymore, even though promise is made by the offeror to open the offer till the specific date. However, there is an exception which stated that in case such promise is supported by the consideration then offeror needs to open the offer till the date. For making the rejection and revocation effective, it must be communicated whether in direct manner and indirect manner (ACL, no date). There is general rule that if offer is rejected by the offeree then it is not possible for the offeree to accept the offer, which means such offer is no longer exist. In this case, Offer is rejecting by Tom and such rejection can be deemed as the termination of offer. If the offer is terminated by the parties then such offer does not exist anymore, even though promise is made by the offeror to open the offer till the specific date. Therefore, there is no legal obligation on John Doe to wait till 22nd August. In this case, offer made by John Doe no longer exists and there is no legal obligation on John Doe to wait till 22nd August. It is possible to discharge the contract in number of ways, and generally contract is discharged through performance by those parties who are under contractual obligations. In case any party under the contract fail to discharge their obligations under the contract then it is deemed that contract is breached by the party. Breach of the contract gives right to the non-breaching party to terminate the contract which is discharged by breach. Non-breaching party holds the right to terminate the contract in terms of breach in following situations. 1. Provisions related to the contract allowed the discharge for breach in some specific situations, such as, party failed to upply the goods to the other party under the contract then other party may terminate the contract. 2. In case another party to the contract cancels the contract, which means, they reject all their obligations under the contract uch as they said that they are not going to perform the contract. 3. In case breach conducted by the party is serious in nature, because minor or technical breaches usually do not allowed the non-breaching party to cancel the contract (ACL, n.d.}. It must be noted that, contractual obligations of the party can be discharged in case contract is breached by the party. This situation generally occurred when one party terminates the contract because of the breach conducted by another party. However, termination is allowed only in those situations when the breach is justified. This can be understood with the help of case law British And Bennington's Ltd V North Western Cachar Tea Co Ltd: HL 1923. Prima facie termination will be considered as an option available to the party in case in case another party fails to perform their obligations defined under the contract or another party cancel the contract willingly by showing their unwillingness to perform the contract. Discharge of breach is generally divided into two categories that are a general category or a specific category, and this is stated under the original contract. It also occurred by the failure of the one party to perform the contract, and when non-breaching party use their option to terminate the contract. Cancellation of contract by any party mainly depends on the fact whether a contract is breached or not, and breach only occurred when there is any breach of the condition or the breach of any serious term. Generally, breach of warranty under the contract will be considered as sufficient ground of the termination of the contract. It must be noted that, breach of the provision related to the time under the contract will be considered as the breach of intermediate term in both common law and statutory law. Right related to the termination of the contract in context of the breach of the time provision will usually available to the non-breaching party. However, this right is only available in case there is serious breach of the intermediate term and the non-breaching party served the valid notice to the breaching party (ACL, n.d.}. In the present case, Alistair discharge the contract by non-performing their obligations under the contract, as he fails to deliver the car on the time. In case any party under the contract fail to discharge their obligations under the contract then it is deemed that contract is breached by the party. As stated above, Cancellation of contract by any party mainly depends on the fact whether contract is breached or not, and breach only occurred when there is any breach of the condition or the breach of any serious term. 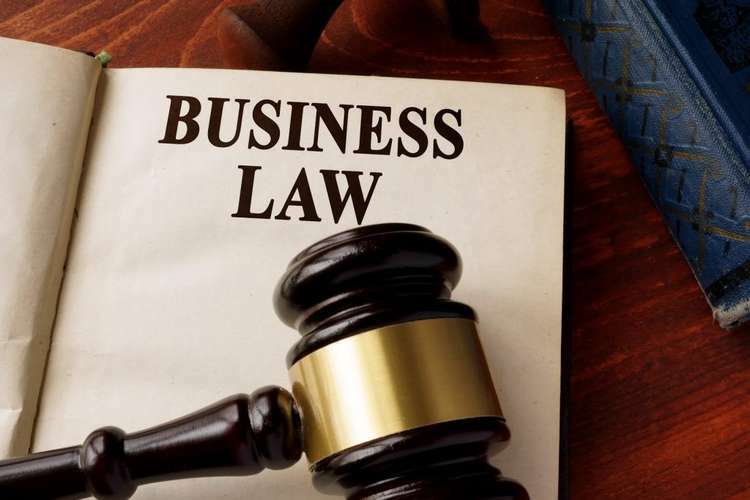 It must be noted that, breach of the provision related to the time under the contract management will be considered as the breach of an intermediate term in both common law and statutory business law. On the basis of this law, it can be said that breach is justified because Alistair breach the term of time provision and this breach can be considered as the breach of an intermediate term. Right related to the termination of the contract in context of the breach of the time provision will usually available to the non-breaching party. Therefore, Goral Singh holds the right related to the termination of the contract. Gorphal can terminate the contract on the ground that contract is breached by discharge. 1. Damages under breach of contract are deemed as the substitute of performance, and they are mainly given to the non-breaching party for putting them in the position in which they were in case contract is performed by the breaching party in proper manner. It must be noted that, punitive damages are generally not given to the non-breaching party. It is necessary that claimed loss must not be too remote in nature, and necessary actions must be taken by the non-breaching party for reducing the loss. 2. Another type of remedy which is available in case of the contractual breach is the debt or liquidated damages. Liquidated damages are available in those situations only when there is clause stated under the contract that specific amount of sum is paid to the non-breaching party in case another party breach any provision under the contract. It must be noted that, specified sum of amount is not deemed as penalty, and the non-breaching party holds the right to sue the breaching party for the liquidated damages instead of the un-liquidated damages. Another type of remedy is the equitable remedy which is available in terms of the breach of the contract, and this mainly includes specific performance and injunction. Grophal holds the right to claim for damages against the Alistair in context of the breach of the contract, as this remedy is given by the common law. In other words, Aistrair breaches the contract by failing to perform the obligations under the contract and this gave right to Grophal for seeking the damages. Damages under breach of contract are deemed as the substitute of performance, and they are mainly given to the non-breaching party for putting them in the position in which they were in case contract is performed by the breaching party in proper manner. It must be noted that, punitive damages are generally not given to the non-breaching party. It is necessary that claimed loss must not be too remote in nature, and necessary actions must be taken by the non-breaching party for reducing the loss. In this case also, Grophal can seek the damages from the Court because Alistair breaches his obligations under the contract. Grohal can seek the damages from the Court because Alistair has breached his obligations under the contract. 1. ACL. Hyde v Wrench (1840) Beav 334. Retrieved from https://www.australiancontractlaw.com/cases/hyde.html. 2. ACL. Agreement. Retrieved from https://www.australiancontractlaw.com/law/formation-agreement.html. 3. ACL. Discharge by Breach, Australia. Retrieved from https://www.australiancontractlaw.com/law/termination-breach.html. 4. ACL. Performance and termination. Retrieved from https://www.australiancontractlaw.com/law/termination.html. 5. ACL. Remedies. Retrieved from https://www.australiancontractlaw.com/law/remedies.html. 6. British And Beningtons Ltd V North Western Cachar Tea Co Ltd: HL 1923. Hyde v Wrench, (1840) Beav Service Commission, Discharge following breach. Retrieved from https://www.lawhandbook.sa.gov.au/ch10s02s13s01.php. 7. Legal Vision, 2016, Offer and Acceptance In Commercial Negotiations. Retrieved from https://legalvision.com.au/understanding-offer-and-acceptance-in-contract-law. 8. McGrave, R. E. (1993). The common law discharge of contracts Upon breach, Melbourne University Law Review, Volume 4.